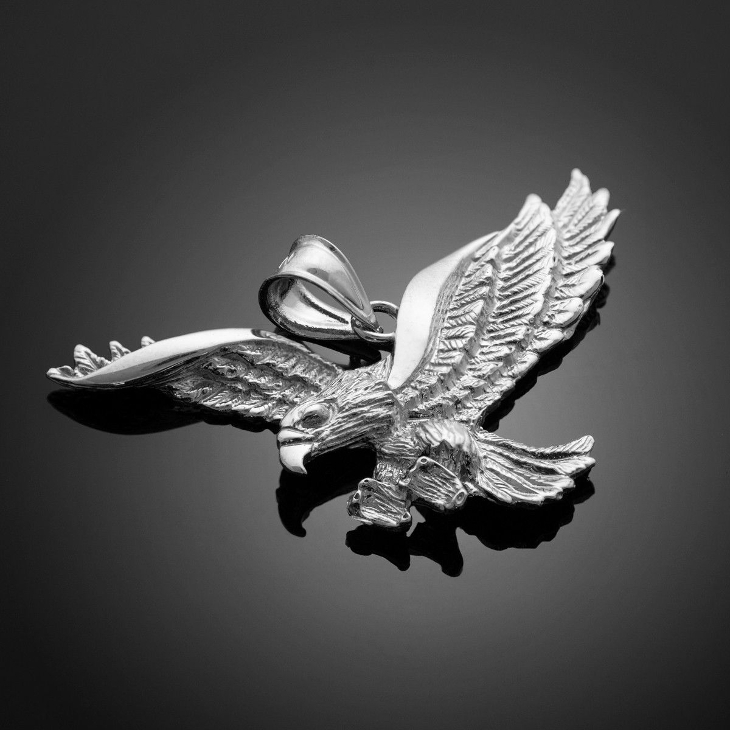 The eagle is deeply associated with the American Flag all of us know that. 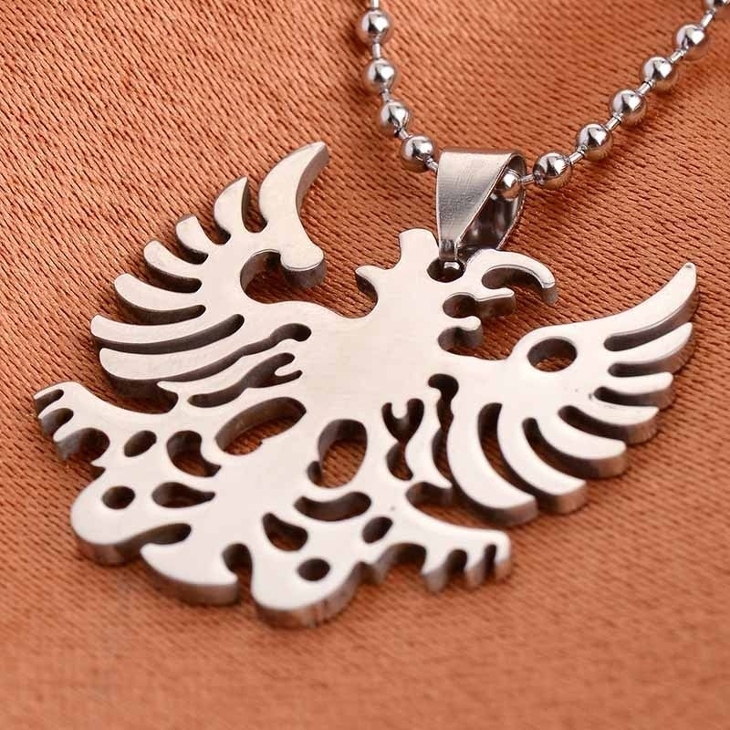 This design has the replicated design of the eagle from the flag. It looks vivacious and graceful. 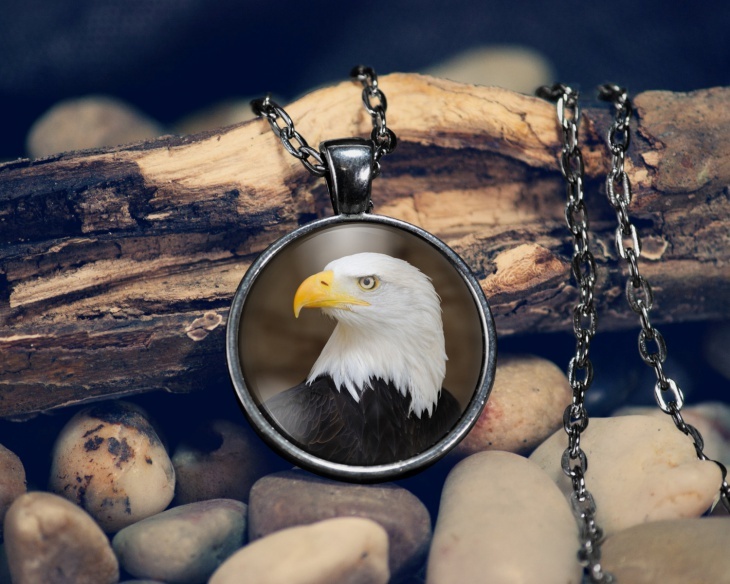 The eagle design is topped with an over layer of glass and protected with a long chain. A plain top will blend in with this so-perfect long chain. 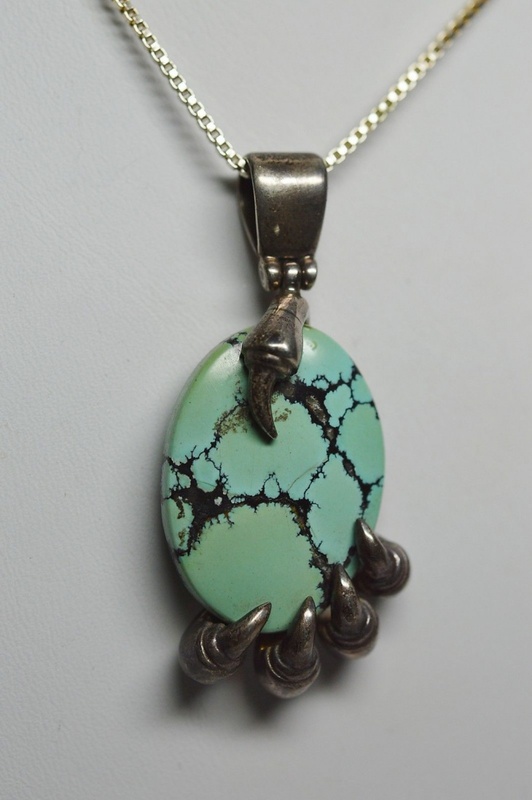 The claws of an eagle are holding to the beautifully designed and the very elegant turquoise pendant. The claws of the eagle look sharp and done with so much accuracy with a lot of intricate work involved. This is a very unique design that will grab attention instantly. 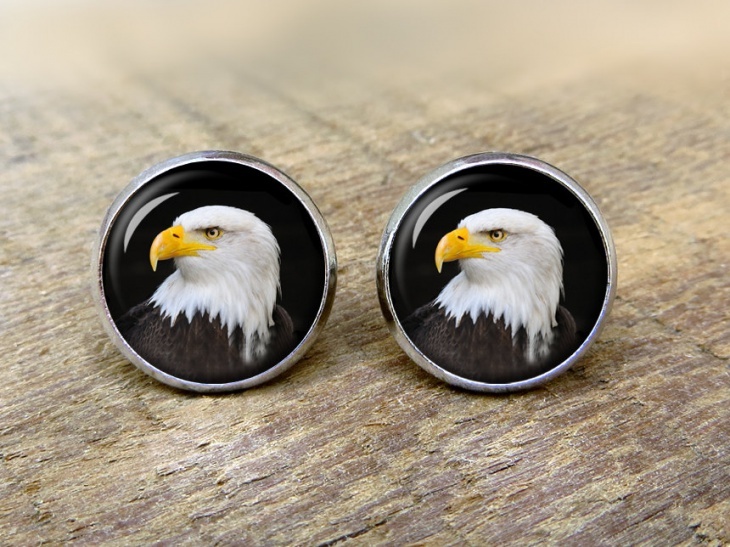 There is no eagle in this design but there sure are elegantly designed eagle feather that make the earrings look flawless. 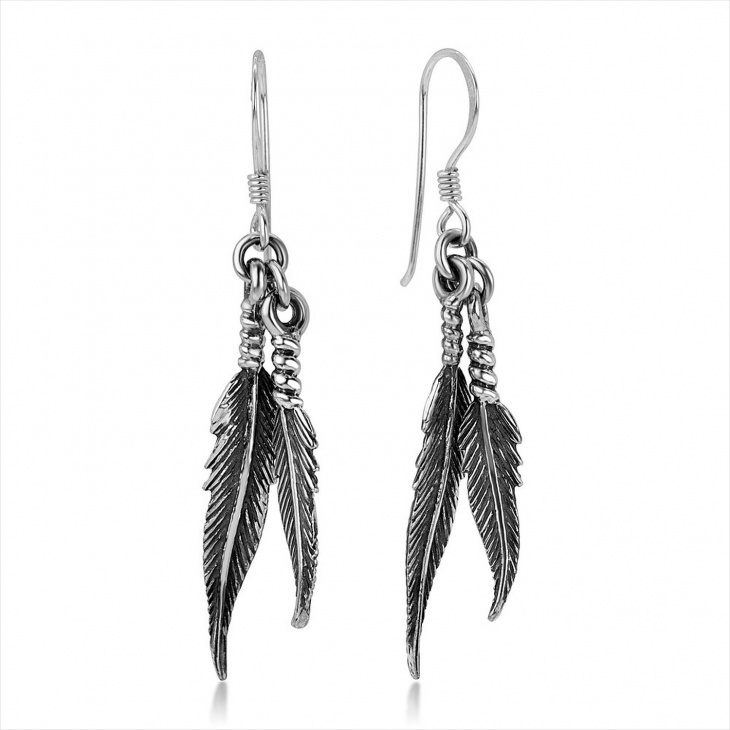 The oxidized earrings are danglers so make sure you tie up your hair to flaunt these away and the combination of the long and short feather on each earring is stunningly gorgeous to look at. 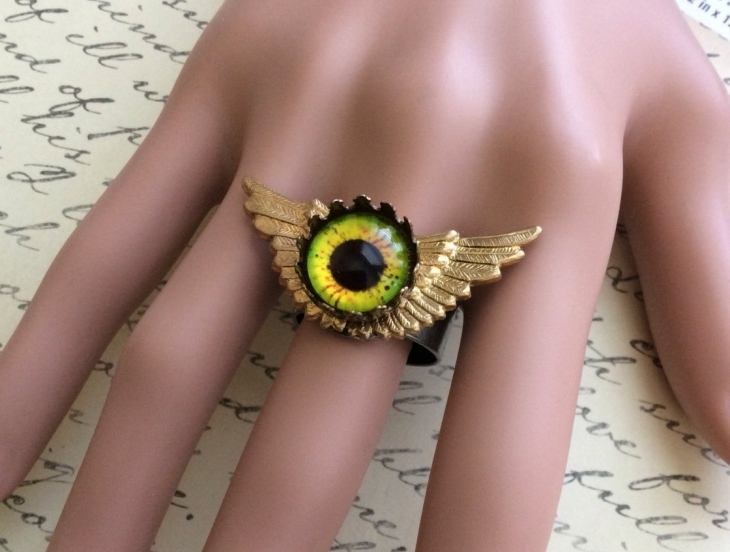 This ring reminds us of the famous Harry Potter movie. The eye of the eagle in the middle looks ferocious and very sharp and well designed. The eye that hits perfection with its fine detailing and the wings to give it an extra effect, this is the best design we have seen. 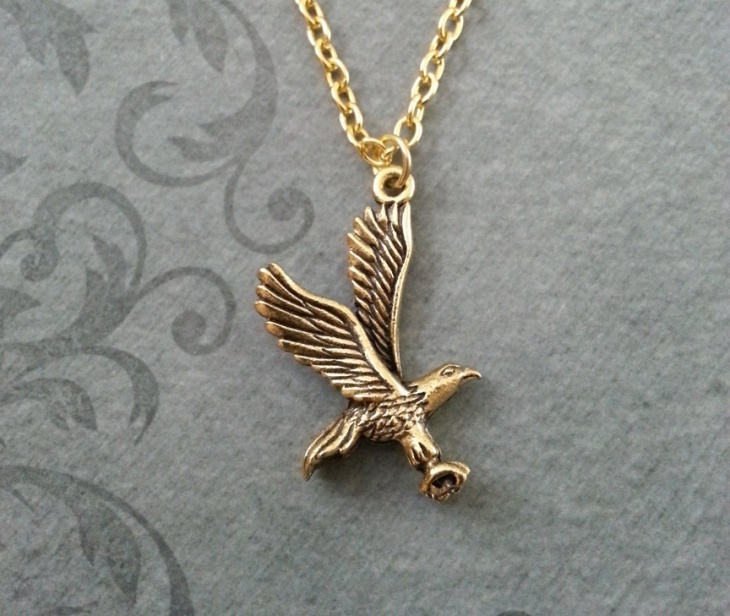 When an eagle is catching its prey, it stoops as low as it can and that’s when you can get a greater view of the eagle. 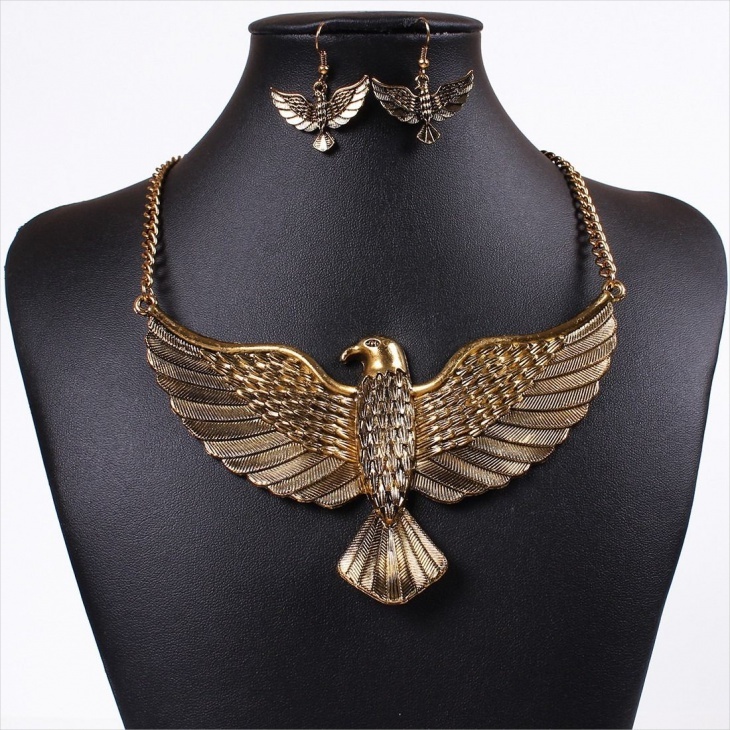 This Tribal jewelry has captured the stooping of an eagle perfectly. It is made out of silver and looks elegant. This geometric jewelry design is wonderfully captured in this piece. 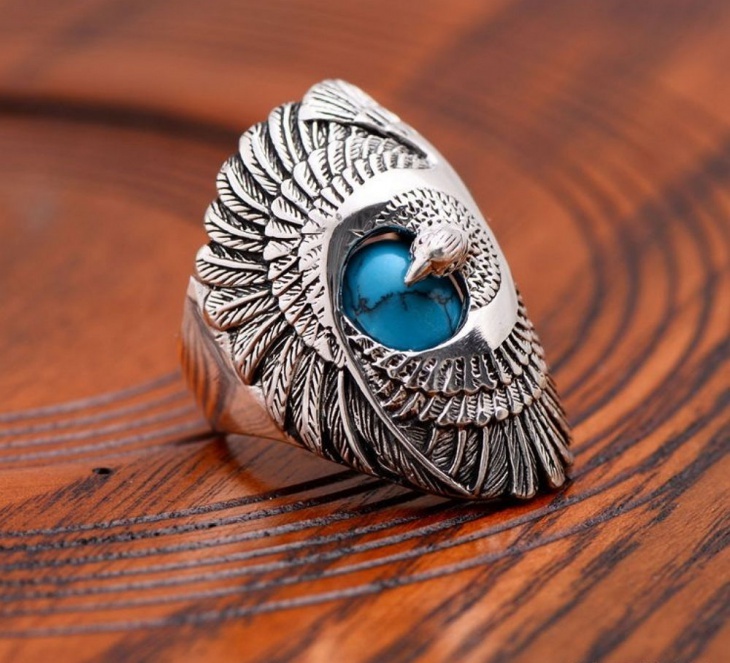 The turquoise steals all the attention but the eagle compliments the turquoise and makes it stand out from being another normal design. It elegantly stands out. 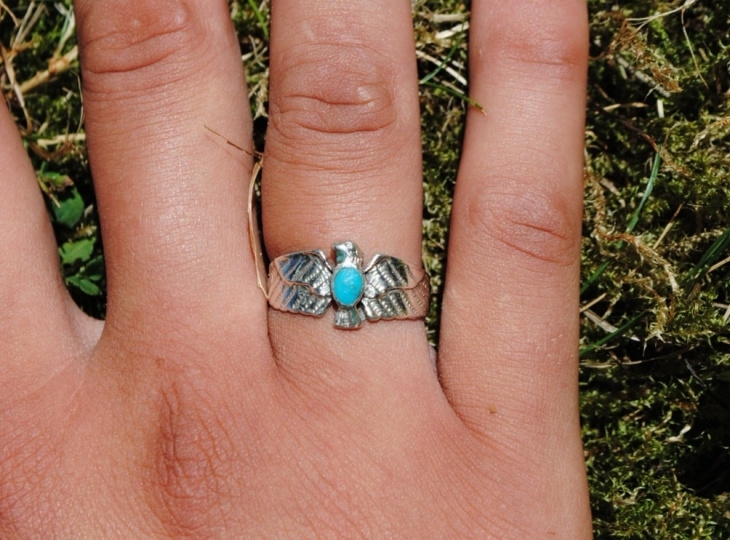 We have seen a lot of eagle design worn by the Egyptians. They look elegant and very radiating. 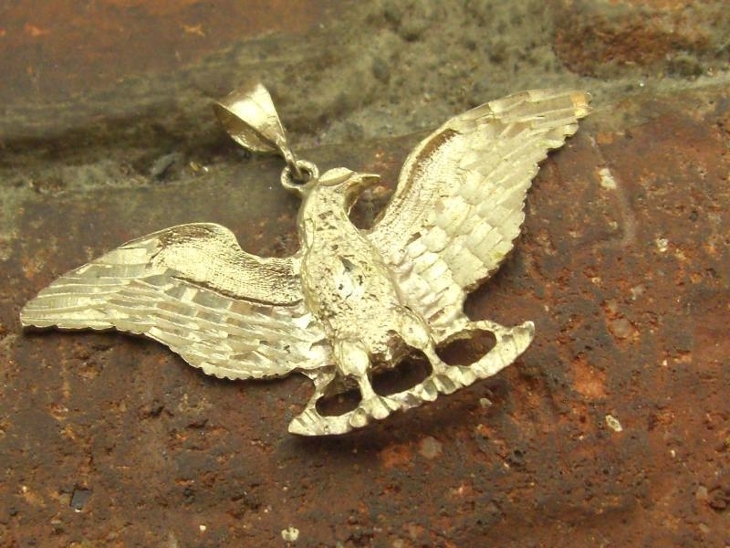 This is another fine antique jewelry that takes us back in time. 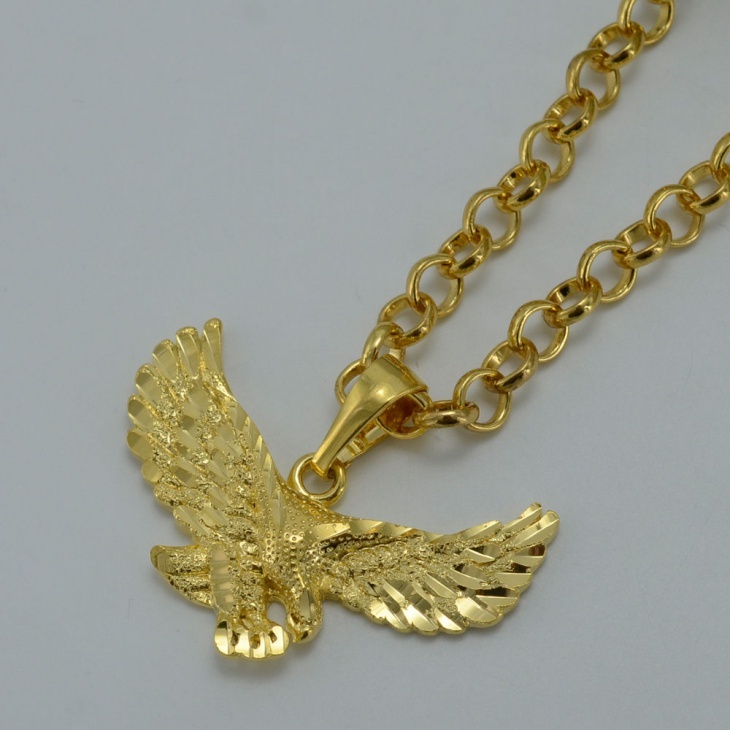 The eagle will gracefully cover up most of your neck and that will make you and your neck look stunning. Wear this during your special occasion with a beautiful plunge dress. This is more on the casual side where you could wear it with your ever-comfortable jeans and top or just a short dress. 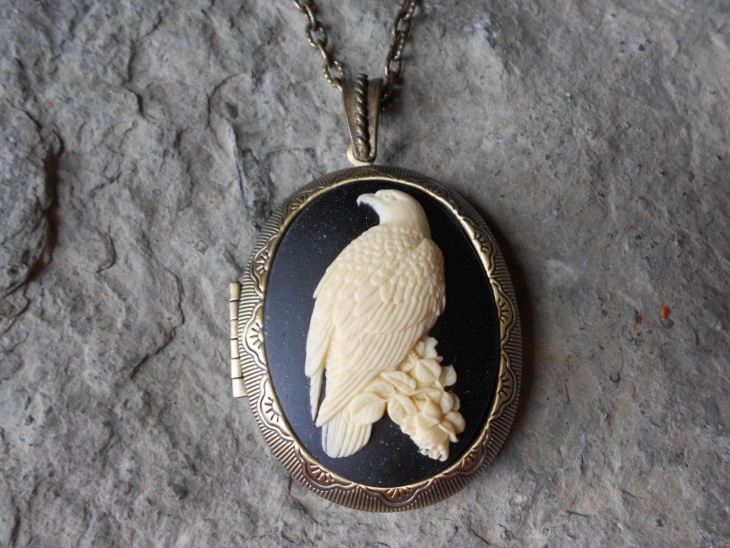 It has the head of the eagle carved into a stone pendant to make it look rustic and alluring. 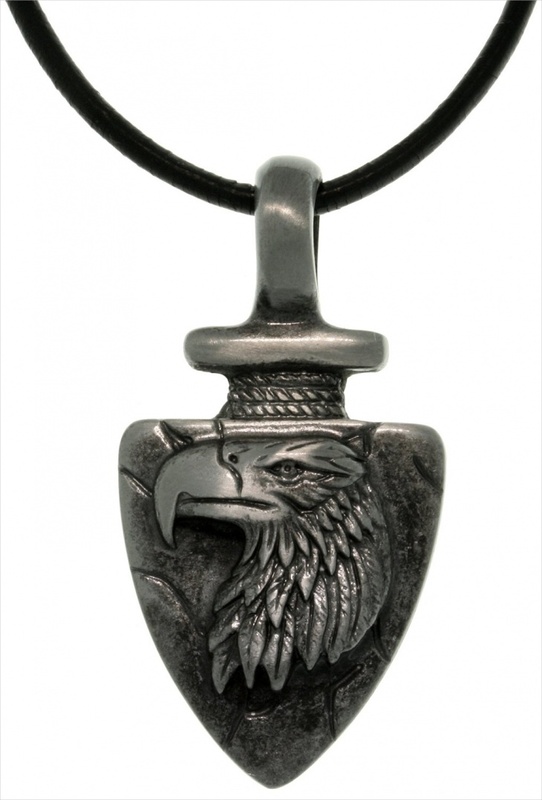 This is a coin pendant with the eagle engraved on it. 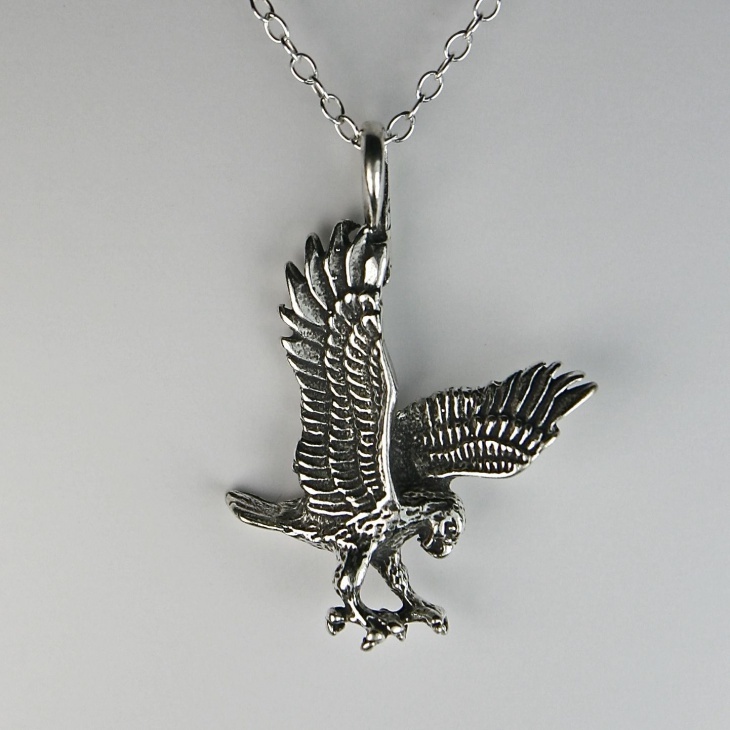 The eagle looks very different from the other designs we have seen. The eagle here has rage and is designed very charismatically. 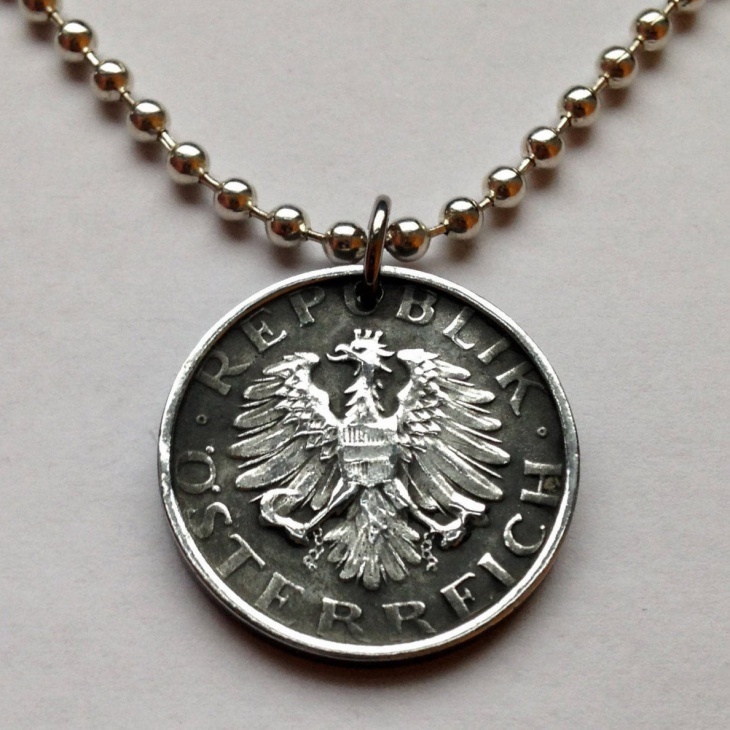 The coin adds an elegant appeal to the overall design. This looks like the perfect piece of Sea Glass Jewelry. 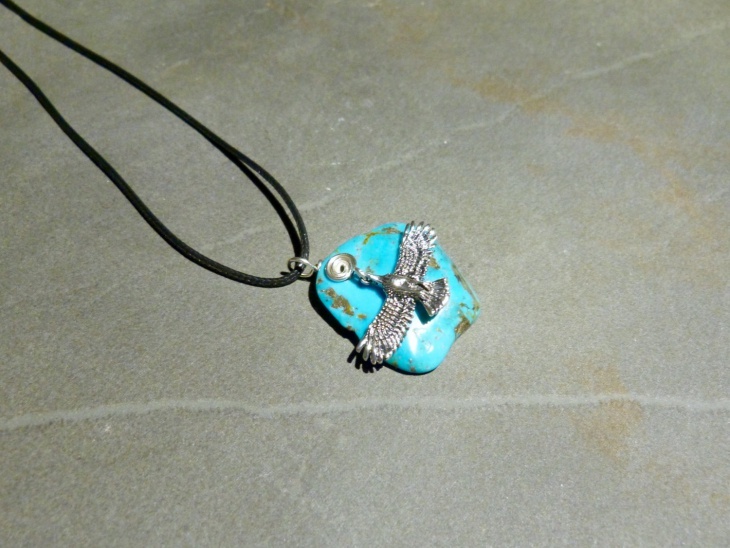 The graceful eagle covers the wonderful turquoise stone by wrapping it around with its feather. 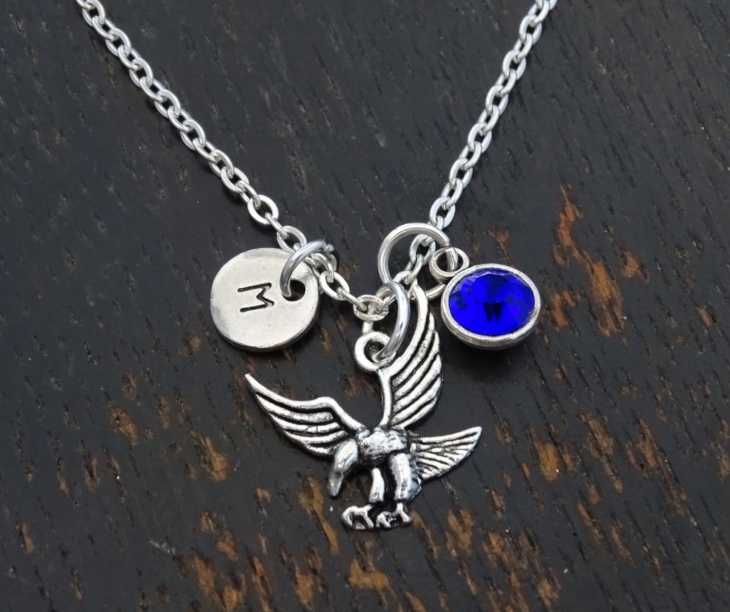 It looks like the eagle is protecting the stone. This ring is chic, classy and unique. 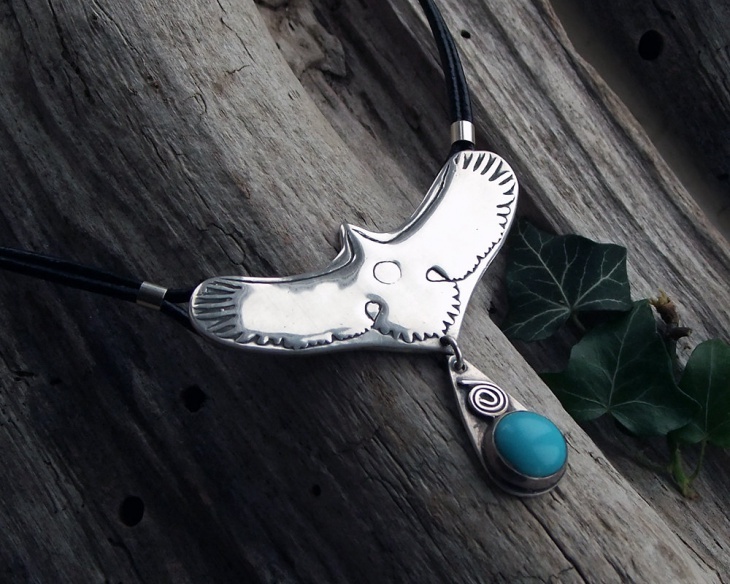 We love the animal themed jewelry design because we have all come across these animals at some point and to carve them into a jewelry design can be such a tedious job but each design is carved with perfection.